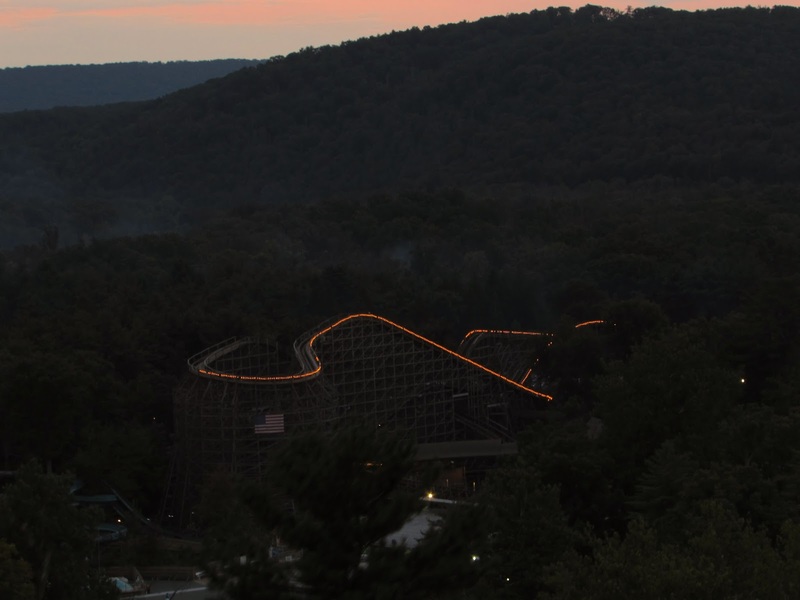 We closed out our summer with a visit to Knoebels. I am not sure what it is about this park, but it always so magical to visit. Impulse cutting through the morning fog. After having some lunch at the Alamo Diner, we dropped by Phoenix to experience its onslaught of airtime and fun laterals. It seemed to get better as the day went on. The laterals in the turnarounds were really pretty great, especially the third one. The flyers were as awesome as always. These Larson/ARM Drop Towers are the best in the industry. No warning on when they will drop and a rapid descent makes these really stand out. In my opinion, ARM Drop Towers and Vertigo Swing Towers outperform their much taller counterparts. Twister was really flying as well. It was a tough call if I preferred this or Phoenix on this visit. The unseasonably cool Labor Day weekend kept swimmers away from the Crystal Pool. The pool will be used for the "Doggie Dive" fundraiser next weekend to close out the pool's 2017 season. The wicked spaghetti bowl section on Twister. Brit won coverall at Fascination! Before we made an encore, we decided to take an evening ride on the Pioneer Express train. When we got out to the woods, a few deer decided to show up! We started to head out, but once we saw how incredible the sunset was, we could not resist heading back into the park. We decided to take in the views from the Scenic Skyway. It was a great call. The chaser lights on Twister and Phoenix looked awesome. 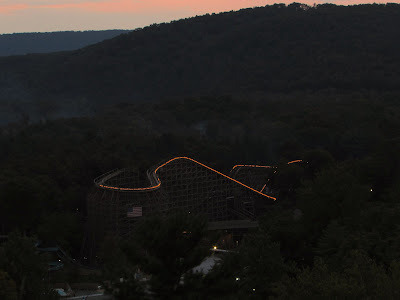 Knoebels, was as awesome as always and the autumn season will be a great time to visit the park.